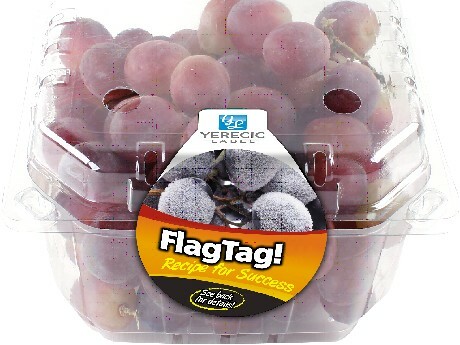 FlagTag!, Yerecic Label’s new label construction duo, works to catch consumers attention, in-store, to promote impulse purchases. The FlagTag! label’s two options allow your promotion or product to pop out no matter the placement. Looking to catch consumers’ attention on an item already at eye-level? Use the drop FlagTag! to stand out on the shelf! Want to raise your product above the competition? Use the stand-up FlagTag! to grab attention at the point of purchase. From dinner inspiration to low-price promotions, FlagTag! may be used in a variety of ways to help draw attention to your product.